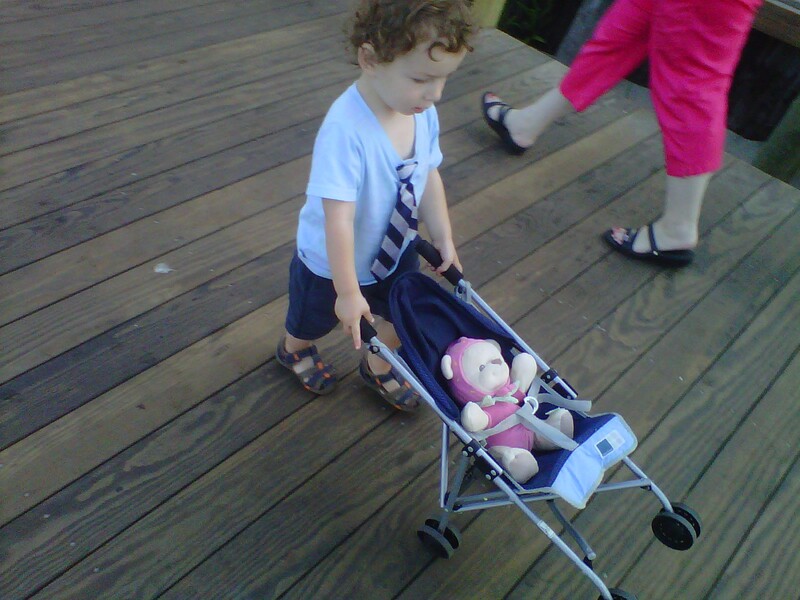 I took my urban-living, tie-wearing, stroller-pushing, toddler son to the Delaware shore. And found out that what would be a totally common not-worth-noticing sight in Manhattan, ain't so in this small shore town. But watching this 14-second video, you'll see this is one very happy urban-living, tie-wearing, stroller-pushing toddler. 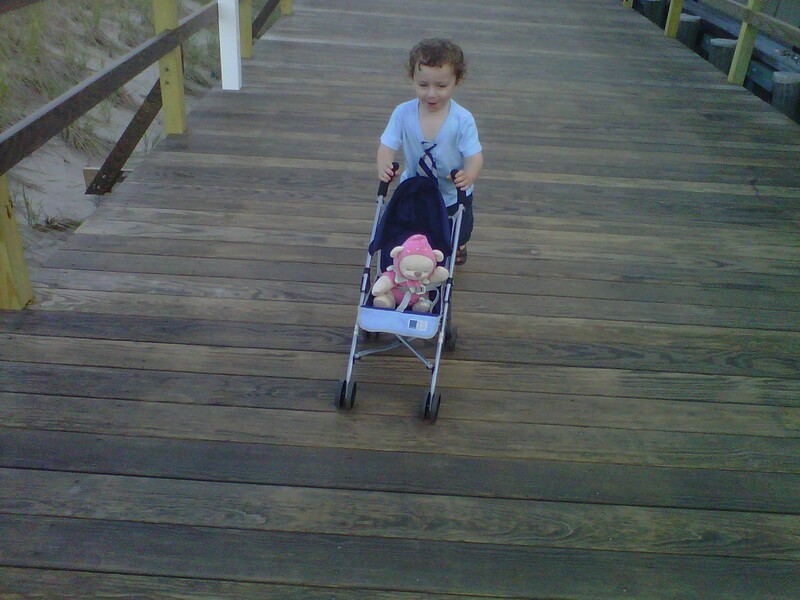 And for him, it's just another night strolling on the boardwalk, a boy and his bear. ...and wearing a tie too. can't go wrong being that fashionable. Cute video! 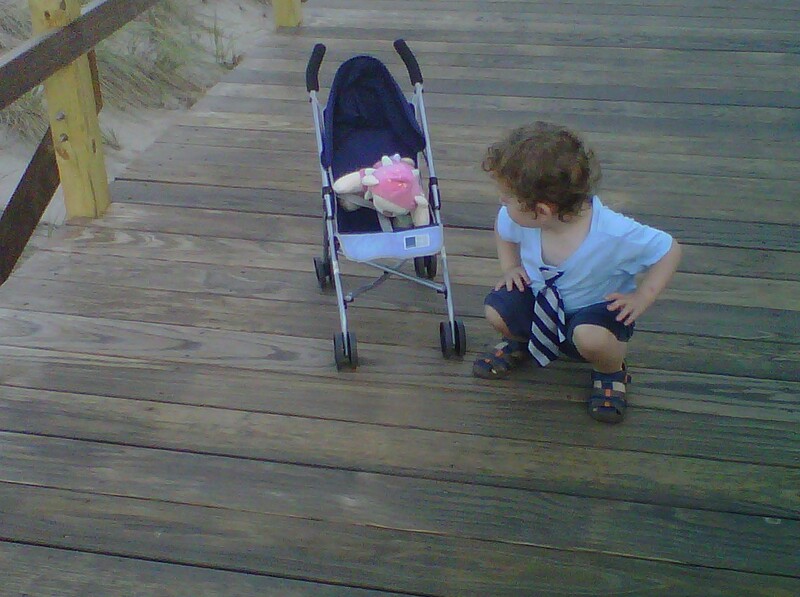 Your son is having a blast pushing that stroller huh? Love his giggle! 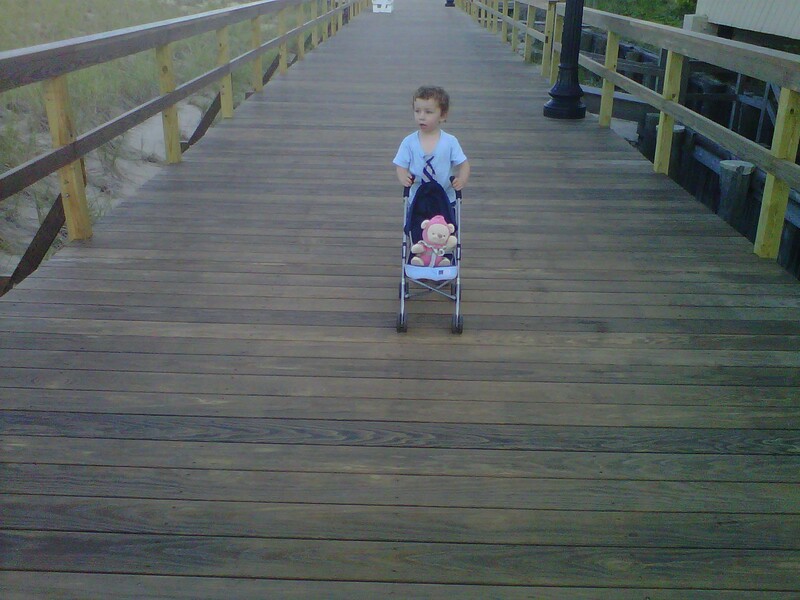 Now I miss the boardwalk from our summers in New Jersey! Do I even know myself at all? It's Pirates Week at the Beach!